If you’re a candidate for orthodontic work, chances are you’ve considered the Invisalign system for treating and correcting the alignment of your teeth. While there are many options for orthodontic work, Invisalign offers a reliable form of teeth straightening, and one which has several advantages over traditional metal braces. At Family Care Center, we’re the premier root canal and Invisalign dentist in Lansdowne, and we want you to have the necessary knowledge when making this important decision and investment. And it’s precisely why we’ve prepared this list of frequently asked questions: to provide you with the confidence and tools to select the method of treatment that’s right for you. They’re made from a clear, durable, and strong medical grade plastic. 2. How Long Will I Need to Wear Them? While everyone’s treatment will vary, patients typically achieve their final desired results in about a year. At the outset of each stage of treatment, patients may experience discomfort for the first few days. However, this is a sign that the treatment is working, and it usually subsides after your teeth adjust to the new aligner. 4. Will People Be Able to See Them? Probably not. Since Invisalign aligners are just that — virtually invisible — it’ll be difficult for people to detect when they’re in your mouth. 5. Can I Take Them Out? Yes, your aligners are removable. This means you can take them out for a date, job interview, or other special occasion. 6. Are There Restrictions On What I Can Eat? No. Unlike metal braces, Invisalign aligners can be removed, which allow you to consume all your favorite foods and drinks. You just need to remember to brush your teeth before putting them back in. 7. Can I Chew Gum While Wearing the Aligners? No, gum will stick to you aligners. But you can easily remove the aligners to enjoy your favorite gum or snacks. 8. Can I Smoke While Wearing the Aligners? No, the aligners can be discolored and stained from smoking, so we discourage the use of cigarettes during your treatment period. 9. How Often Should I Wear My Aligners? For best results, your aligners should be worn all day, except when eating, brushing, or flossing. 10. How Do I Clean Them? 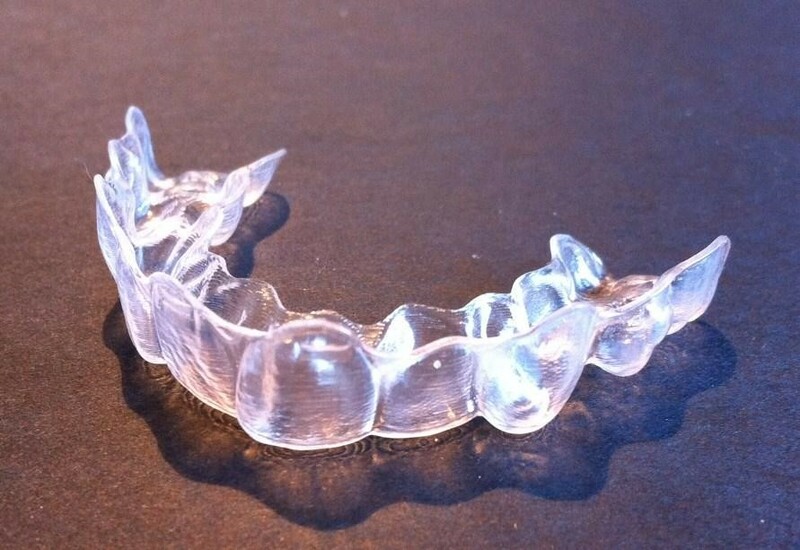 Cleaning your aligners is easy. Simply remove them and brush them with toothpaste, then rinse them in lukewarm water. You may even use the Invisalign cleaning kit to keep them fresh and hygienic. Family Care Center is dedicated to renewing our patient’s smiles through expert and professional orthodontic treatments, like the Invisalign system. To schedule an appointment for an Invisalign consultation, or for dental implants in Lansdowne, call 484-791-2138 today!